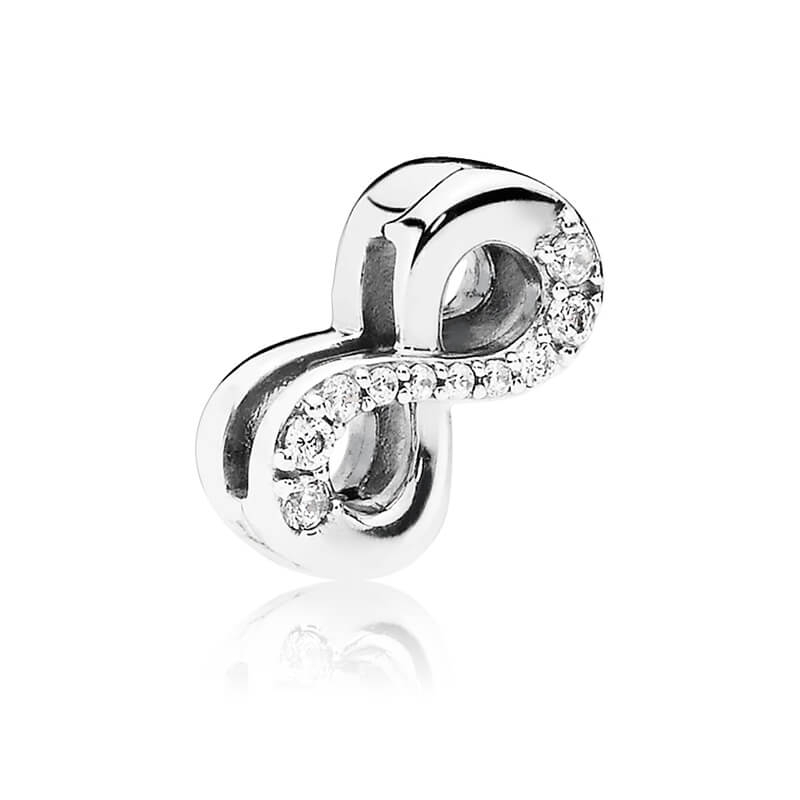 PANDORA Reflexions infinity clip charm in sterling silver embellished with 10 clear cubic zirconia. The service was efficient. The purchase was made in the late evening and arrived 2days later. I'm satisfied with the service and would use it again. Thank you for your positive feedback. We're delighted that you are happy with our service, and are so pleased to hear you would shop with us again.